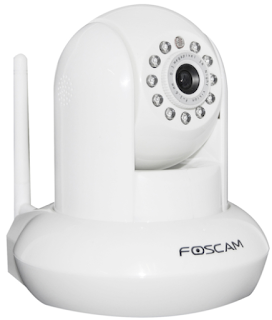 I recently purchased a pair of Foscam FI9820W wireless IP cameras to augment my existing pair of FI8918W ones. Featuring 720p video resolution, H.264 video compression, pan and tilt capability, SD card support, and IR cut to help filter out distortion in the camera's daytime mode, wireless IP cameras like these are very handy because they can be placed anywhere within the reach of your wireless network and a household power outlet, and transmit images and even live video wirelessly. 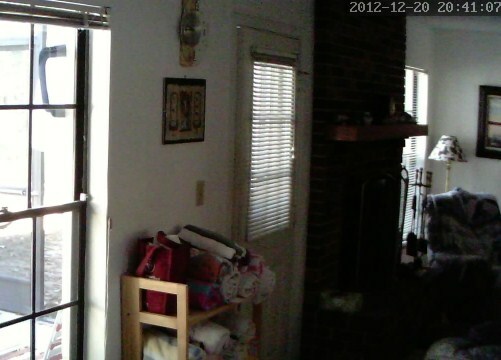 In addition, if a burglar happens to break in and swipe or disable the cameras themselves, there's a fair chance that before this happens, the camera will have gotten a nice face shot of the perpetrator discovering the camera, and then send it via email or FTP if configured to do so, for you to later submit to the police. This newest, more expensive camera in Foscam's lineup unfortunately suffers some significant shortcomings. Compared to the more mature FI8918W model, the web interface is still disappointingly ugly and Internet Explorer-centric, utilizing an ActiveX control to render live video in a browser and a few hoops need to be jumped through to get the interface functional in a more mainstream browser like Firefox or Chrome. As if that were bad enough, a serious security issue arises with the FI9820W's lack of full WPA / WPA2 passphrase support. If your wireless network happens to be protected with one of these security protocols and uses anything other than an alphanumeric passphrase, you'll have no choice but to compromise your wireless security by making your password simpler to accommodate this camera. Although the picture quality is outstanding in the camera's grayscale night vision mode with all its H.264 sharpness, the daytime mode leaves much to be desired. Even in a well-lit room the image appears blurry and washed out in spite of the included IR cut feature. 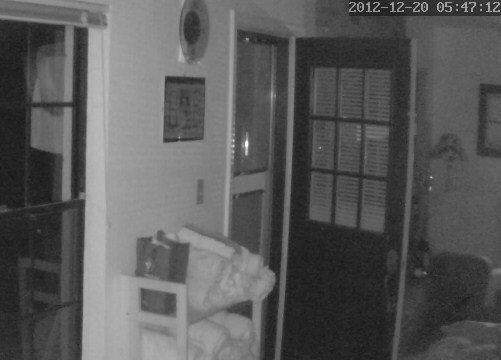 Night vision engaged, the image is relatively sharp and clear. Another downside, whereas with the FI8918W you could set up its motion detection to optionally take a variable number of snapshots, the FI9820W allows no more than a single snapshot per activation of the motion alarm. Add to that the fact that the camera shares the similarly short AC adapter cable as its predecessor, there isn't a lot to make this camera in its current form worth the higher cost. Daytime, even with IR cut the image is disappointingly grainy and washed out. Nonstandard WPA / WPA2 passphrase support. Internet Explorer centered, 1990s-era web interface. "Your suggestions will forward to our R&D team, we'll try to fain [sic] these features in the future software. Highly appreciated your feedbacks. Thanks a lot." I saw your comments regarding the 9821P on another blog & thought I would let you know that BOTH of my new Fi9821P cannot be seen on my wireless network (but are OK when wired). Is it possible the BOTH of these cams suffer from the loose antenna connection? If so, this confirms that the QC is crap at Foscam. Thanks for your 9821P review since it saved me from insanity. BTW, I have 6 other Foscams that work just fine, so I know how to set them up.